My latest post for MovieMaker Magazine covers social media basics for the top 5 social channels. I have written posts regarding social media basics before, but this piece will include Pinterest and Instagram which I did not cover last time. As you may know, I do not view social media as a campaign oriented endeavor. Campaigns are only conducted for a set amount of time (usually for a sales promotion), but I think it is important to understand that social channels are an every day effort; they should be integrated into your creative life indefinitely. The sooner you start using them professionally, the easier it will be to gain benefit from them, especially if you are thinking of self distributing or crowdfunding. What do you do with it? Use it to start and maintain an ongoing relationship with your audience. Ask for feedback, start a discussion, or post your views on a current event. Try to remember, if you only talk about yourself and your work, it’s a boring conversation for everyone else unless you are a celebrity that they are truly interested in. Champion your followers and other artists. As opposed to the fleeting nature of Twitter, Facebook pages are meant for deeper discussions and closer relationships with your supporters. What do you do with it? Build a video subscriber base. View counts on videos are great and definitely have a use in securing optimal placement in Youtube search and publicity attention (though it will take many millions of views for it to have an impact on press coverage), but your subscribers are the ones who will see your new videos in their homepage newsfeed and receive an email when you post something new. Also, encourage Likes, comments and shares of your videos as that impacts how Youtube ranks your channel in its search results. If you aren’t prepared to fill this channel with regular content that is HIGHLY compelling, don’t use this social tool. FreddieW’s Youtube Channel has over 6.5 million subscribers. What do you do with it? Use it to post short (less than 140 character) messages that are funny, informative, or reflect your outlook on life. Not only will you be connecting with the audience of your work, you will also find Twitter a great industry networking tool (for jobs!) and a place to connect with journalists (for media coverage). Make sure that your Twitter handle is posted on all of your communication including email signature and newsletters, website, other social channels, business cards and any About You section where your name is included. What do you do with it? Use it to post photos and videos found or created online. Pinterest runs on well made and captivating images. People who use this social channel are looking for visual masterpieces or images that speak to their lives and emotions. Filmmakers may use Pinterest to tell a visual story about how they became the artists they are; influences, professional tools, and the tastes, style and personality behind the work. For individual projects, Pinterest can be used to tell a backstory on characters (individual boards set up to further explain a character), information on the setting of the story, and mood boards that give the audience a sense of what the film is, apart from just a trailer or poster. Indie film producer Ted Hope uses Pinterest to show the world who he is and what he cares about professionally. What do you do with it? Use it to post photos and videos taken with a mobile device as your visual representation of every day life rather than a place to post high quality images. Instagram is being used to post on-the-fly photos and short videos taken on the set and making 15 second short trailers and character teaser clips specifically for mobile viewing. Feedback is instantaneous so you will know very quickly if your project is capturing attention and gaining followers. The full article details how to set up accounts on each social channel and some examples of independent filmmakers to emulate because they excel at building an audience on these channels. The first part (covering Facebook and Youtube) is now live. The second part will be live on November 25. This annual, invitation only event was held last Friday in New York City. Unfortunately, I did not attend and I am quite disappointed because I would much rather spend my time listening to people like this than the ones invited to speak at most film industry forums. It was just pointed out to me that videos from some of the speakers were loaded up to Youtube and I encourage you to check them out. For anyone interested in understanding the way storytelling is evolving; from fan participation to using digital tools for promotion and distribution to understanding that there may be no more stopping points in a story; watch this series of videos from some of today’s big thinkers. Brian Seth Hurst explains that audience and storyteller can achieve levels of engagement with each other that were never possible in the pre-Internet, pre-Facebook, pre-Twitter era. This fact is fundamentally changing the way stories and storyworlds are conceived, disseminated, and branded. David Weinberger explains now knowledge lives on the hyperlinked Net, and links offer a never-ending invitation to go further, to know more. The cardinal challenge of the storyteller in the age of networked knowledge is to expose us to points of view other than our own, to free us from the “echo chamber” of narratives that merely reinforce what we already know or believe. The best stories should honor a simple yet stubbornly elusive truth: that different people start from different places, and that what happens to them matters just as much to them as what happens to us matters to us. You can see all of these short videos on the Future of Storytelling Youtube channel. As you may know, I recently gave the keynote address to the Federation of European Directors General Assembly in Copenhagen. 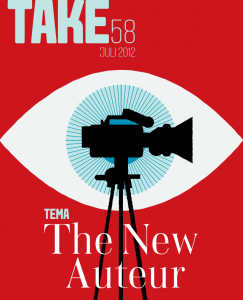 The Assembly’s event was chronicled in the Danish Film Directors’ quarterly magazine Take 58 in July. Below is an excerpt from a longer article about my participation there. Thanks to all who attended the event. TAKE: Should I keep my Facebook identity as a director seperate from my identity as a private person? Meaning should I have two separate pages? SHERI: Yes, I would advise having a separate professional Facebook page for all of your professional work and leaving those privacy settings as open as possible. Your private profile should be for your actual friends, family and colleagues and the place where you put your personal thoughts and interests and that will have privacy settings optimized to only be shown to those people. While your family and friends may also want to keep up with your professional endeavors, not all of them will and having a professional page allows you to have a place to connect with your fanbase and industry people regarding your work. TAKE:At what stage should you know the title of your film? Can you change title later on? How do you avoid misleading people, if the film changes radically after the title has been set? SHERI: Some film titles change as soon as a distributor takes hold of it, so I wouldn’t be too worried about changing a title because your true fans, your community that you have been building for your work over time, will be the first to know the reasons for the change. Remember, you are building up a relationship with these people, they aren’t being gathered for the one film. If the title changes (and I highly recommend doing a thorough title search before you set one so that it doesn’t need to be changed later), only those who have not been with you all during the production of the project will come to know the new title. Same thing for branding on the film. In fact, this is a way to include the supporters, take a poll onwhich title they like or on which key art they like. American director Edward Burns held a poster contest for his film Newlyweds. He asked his fans to contribute their designs and they voted on the most popular one. It became the poster for the film. American director Tiffany Shlain did the same for her documentary Connected. Don’t treat your supporters as strangers, keep them informed of what is happening with the project and why. SHERI: First, you must have a website, that is imperative. It is the only true piece of internet real estate you own and control. Every other platform belongs to a third party that may change the rules, go out of business or lock you out whenever they like and that would completely cut you off from your supporters if you depended solely on those for communication. I think directors should choose the social channels they feel most comfortable using and where those which would be most interested in their work frequent. For now, that is probably Facebook (with 900 million users, of course!) and maybe Twitter. But it could also be Pinterest, MySpace, Tumblr etc. TAKE: How and where do I use my time best online if I want to engage with my audience? It seems that one can use a lot of time on many different things, but where does it have the most impact? SHERI: The answer to this would be as unique as the audience members. The thing to realize is there are no set rules, there is no magic formula. This is all going to be an experiment and trying out services to gauge a fit. Online tools are just that, tools. It is all in how you use them and you only get out of them what you put in. The more time you spend connecting with others, the more you will get out of the process. I would say you need an outlet to speak from, which typically means a blog on your website. That blog should be updated weekly, ideally, so that you keep the site higher in search results and it feeds your social channels. Blog pieces do not have to be long, only 500-700 words, and they should primarily be devoted to sharing valuable information and insights, not self promotion. TAKE How do you see the relationship between engaging your audience in a dialogue and the ability to earn money on having the dialogue? Does one exclude the other? SHERI: I want all not to start this process with the eye for making money as their foremost thought. It is like saying you are making friends with people only to see how much money you can get out of the relationship. A relationship that starts that way is doomed to fail because people can feel it, feel the insincerity. TAKE: How private or personal do you feel that one should be? Many of us directors are shy people and only used to talking to journalists about our films before a release. SHERI: One would think it will be easier to speak to real people than to journalists! I don’t think you need to share intimate details about your personal life, but I do think we should see some sort of personality behind the communication efforts. All directors are creative people with lots to say to the world. If you aren’t, then perhaps you should rethink your occupation. Writing a blog isn’t journalistic writing, it is personal writing about your inspirations, helpful suggestions, recommendations, personal commentary on events happening in the world. Something that lets the supporters know who you are as an artist. Like attracts like and ideally you will attract those who love the way you tell a story no matter what the story is. We want to see the essence of the real artist, not some sound bite ”message” of the synopsis of the film. TAKE: Can you give us inspiring examples of feature film directors that use social media to engage their audiences? SHERI: YES! -American director Kevin Smith connects with his fans every day via Twitter and through his own channels at smodcast.com He is really an example of a director who tells stories in lots of mediums, not just film. A true storyteller. British actor/screenwriter/director Stephen Fry is also very accomplished at using social channels as well as his own website to connect to his fans. -David Lynch uses Twitter, his tweets totally correspond to who he is as a storyteller. I would say though that Morris and Lynch do not do a great job at having conversations with their audience, their sites and social channels seem very one sided to me. -British director Duncan Jones uses Twitter to the extreme (several times a day!) and actually does talk with his followers. TAKE: What do you mean when you say that a director should be a tribe leader? Does that go for all directors? SHERI: The tribe idea originates with Seth Godin who wrote a book in 2009 called Tribes-We Need You to Lead Us. It is this idea of finding and connecting with like minded people and leading them to a place they want to go. The means to do this are universally available to everyone now with the internet, so it isn’t based on geographical location or on having large financial resources to advertise your way into an audience. Advertising has been the default way of building an audience for films for a long time, it is costly and wasteful as you have to start again with each film. The tribe building idea is a totally different way of doing this and it is meant to be more cost efficient and longer lasting for the artist. You don’t need to sell people on the fact that they want to connect (to art, to other people, to a movement) because that is inherent human nature, we want to connect to like minded people. So as a film director, or a storyteller, your job is to connect those like minded people through a platform that you create (your website, blog, or whatever tool you choose) and eliminate the need for them to find each other on their own. They connect through you as the artist and through your work. You are the leader of the tribe and you make your work only for them. They, in turn, bring in their friends, also like minded people, and that widens the reach of your work. Your job is only to make work and nurture those people, delight those people. They will bring the others aboard. This is a very radical idea though. When the artist is in charge of her tribe, where does that leave the chain of middlemen that once were so important to reach the mass? Mass reach is becoming less and less important because it isn’t sustainable. Audiences for entertainment are becoming fractured and very focused about how they spend their time given the multitude of options for entertainment. Advertising is becoming much less important, but social connections, trust building are becoming more important. People are trusting recommendations from their personal connections much more than advertising blasts. If you have no personal relationship with your audience, your work will be lost in the multitude of other viewing options. My thanks to Birgitte Staermose for conducting this interview and the the FERA organization for having me in Copenhagen. Now that we gained the support of many people who make up our super core fans (Joffrey alumni) of our film, we didn’t ignore that there were other core audiences to target for a film essentially about American ballet history. One such core were the fans of the Joffrey Ballet who never danced with the company, but attend performances today or have seen them in their younger days. Another core were writers and groups who are interested in the topic of ballet, dance education and dance history. Even within those groups, there are fans of the Joffrey Ballet who never danced with the company. Notice that the target audience circle is progressively growing bigger, we aren’t going after “dance fans” which would include every type of dance and everywhere in the world. Primarily we are staying in the ballet genre and within the US, though the internet is global so anyone may see our promotional efforts. Google searches turned up posts written by Joffrey fans, following keywords on Twitter also helped to uncover these fans and many times lead to 140 character conversations. They especially wanted to know when the film would play their cities. This is when it is advisable to have a distribution plan in place so those questions can be answered and to have that plan be flexible so one can add screenings (or allow for fan hosted screenings). I would find out from them which cities, tell them where and when we had booked and solicit recommendations on venues. The same thing happened on Facebook. This also lead to an uptick in email signups as those fans wanted more news on the film and an eventual uptick in sales in our estore. Some Joffrey fans are writers too which has been great for publicity in Dance Magazine (editor in chief Wendy Perron used to take class with Mr. Joffrey) , Huffington Post, EasyReader, The Faster Times and Dance Channel TV and on blogs such as 4Dancers, Elite Dance Network, Dance Advantage (we participated in a giveaway contest with them), Tendus Under a Palm Tree and My Son Can Dance. I also researched US based dance schools, University dance departments and arts societies in cities where I knew the film would be playing (again using Google) and notify them of the upcoming screening. I would look for any instructors who may have trained with the Joffrey or with a Joffrey alum or another choreographer associated with the Joffrey by reading each website’s About page or Staff bio page. These are usually located in the navigation at the top of a website or at the bottom and when I made contact with them, I pointed out this association so they would see what relevance our film had to their lives. Note that I did not send the same email blast message to everyone. This was tedious, labor intensive work and usually not the kind of thing your distributor or publicist is going to do for you. To be honest, it is better that way because they usually do not have in depth knowledge of the interests of your audience so their communication tends to be very self promotional and could potentially come off as spam. 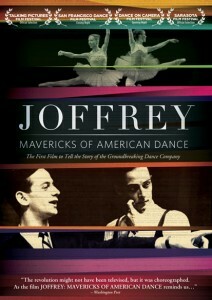 Since we are still making interview podcasts with alumni, I am contacting dance historians at societies and universities to make sure they know we have this repository of Joffrey history that they may listen to for free. This communication helps to bring those people to our website where they not only may listen to the podcasts, but see that we have the DVD for sale and we still have screenings going on. In addition to this micro level outreach, we also used a publicity firm for reviews and coverage in mainstream media (widening out awareness to the broader, but more diffuse circle); invested in Facebook advertising with very laser targeted keywords and some newsletter advertising with sites such as Eventful and SeeChicagoDance.com for our screenings; and used a booking agency to help us book venues. This has been a multi pronged approach with a small team of dedicated people who have devoted many hours specifically to this film so that it would succeed. I don’t want to give readers the impression that we only used one form of audience building and that this can/should be done with no budget. It can’t and it shouldn’t. Now that the film is available on Amazon, iTunes and will have its US broadcast premiere on PBS American Masters in December 2012, all of this outreach and publicity helps to drive more awareness and sales revenue. It has been a lot of effort and at times quite tedious, but as the long tail of sales continue, I know it will continue to pay off. “Engagement” and “Connection” overused buzzwords? I think those 2 words are starting to lose their meaning when talking about using social media to reach audiences. I am not offering another word because at the end of the day a word should only describe an idea of what you are truly doing and maybe THAT is the thing that is becoming lost in all of this talk. What are we truly saying when we use those words? Engagement isn’t a measurement from your Facebook or Youtube Insights, it isn’t how many retweets you receive on Twitter. Connections aren’t simply a number of followers and likes. In thinking about the traditional use of this word, your “connection” was someone who was willing to help you, someone who knew you, trusted you and vice versa. Audiences are now delighted by communicating not with a “brand,” but with a “face” or a person. This mindset shift in corporate America is very hard to make when they really never thought about the audiences actually being people…with faces beyond eyeballs. If they did think this way, would they really keep hitting that face with ads over and over again? Would the conversation be constantly one sided, “buy my stuff” ” buy my stuff” “click here, and buy my stuff.” That is the extent of the brand relationship with customers that the typical movie studio or distributor has now. When I talk to you about creating a relationship with your audience that is long term, not just for one project, I really want you to think about what this means. The investment of time and creativity and energy this is going to take, not to boost “likes” on Facebook and follower numbers on Twitter, but to really draw people to what you are doing and hold them there willingly. Using these great new tools is just a newer way of communicating, but the communication itself isn’t new. We as humans have always communicated with each other and naturally gravitated to those with similar interests and it is the same now. That is also an important distinction. Audiences may not only want to communicate with you, but also with like minded people AROUND you and your work. 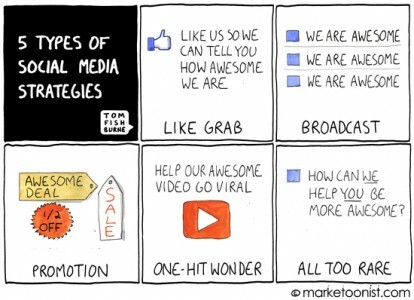 In this way, brands can benefit from heavily using social tools. They don’t have to be the sole source of communication, they can provide a place and content that enables “fans” to speak to each other about the brand. Be careful when you are using these tools only to speak about yourself, but also don’t become so enamored of people “buzzing” about you and your work that you never step into the conversation. I see this a lot with brands that happily RT positive tweets but almost never get into conversations. Main thing to takeaway here is not the fact that you are trying to pump up “scores” or numbers on your channels. You are trying to touch people using electronic means and this will take time, effort, energy and a lot of patience. There’s no quick fix, no magic solutions, no one ”engagement tool” that is going to make these relationships last. For those who don’t have these attributes (time, energy etc), this isn’t going to work and you will have an increasingly difficult time gaining an audience in the future.